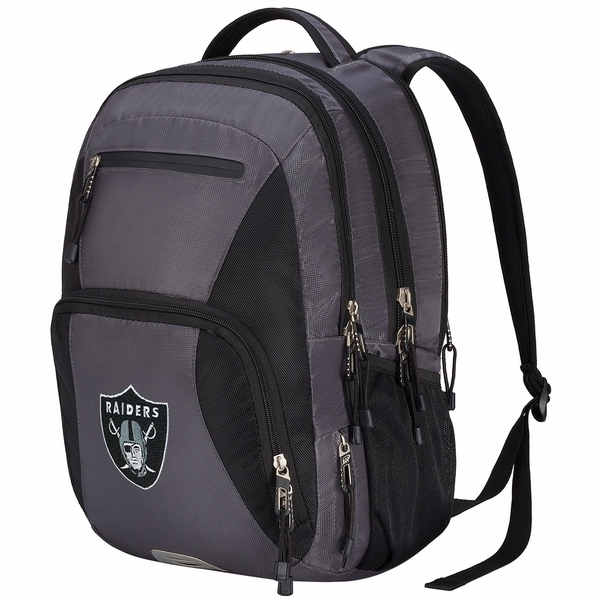 The Raiders Turbine Black Backpack by Northwest Company holds it all! This backpack features a total of five compartments, including a padded laptop space, plus adjustable padded straps and back with embroidered Raiders� graphics on the front. Measures 19� x 5� x 13�.